Folauhola (Lela) Hautau poses for a photo outside Osborne Chapel in her traditional clothing. 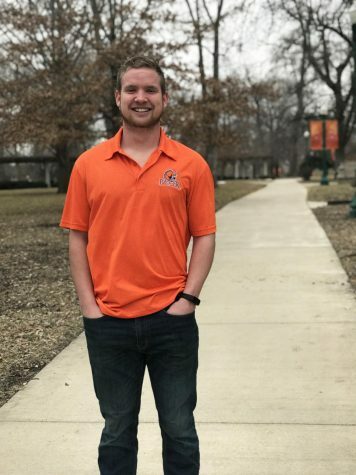 Hautau enjoys singing and can only be described as kind, genuine, and loving by Dean of Students, Cassy Bailey. 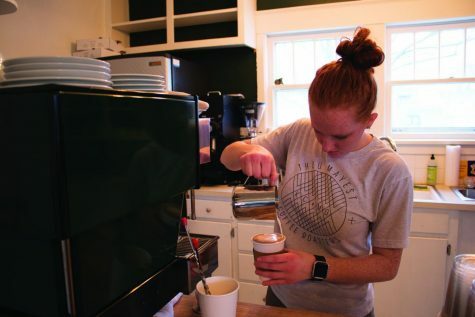 Not only has junior Lela Hautau’s passion and respect for her Tongan roots helped bring diversity to Baker, it also has afforded her opportunities to represent and be a voice for her culture. 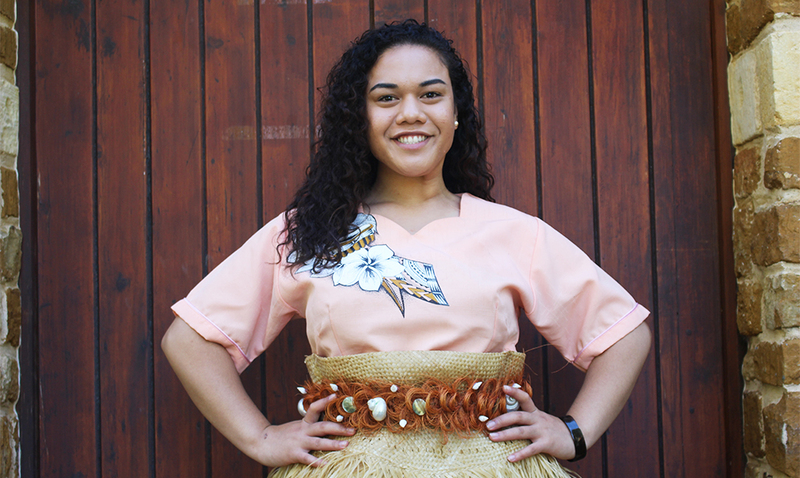 Over the summer, Hautau was selected by lead members of her community in California to represent their region at the 2017 Tongan Annual Youth Conference in San Francisco. This opportunity would not have been as special if it was not for her visit to Tupou College’s 150th anniversary on the Tongan island last summer, where she met the late Queen Mother of Tonga, Queen Halaevalu Mata’aho. Hautau was selected by her family to honor her late uncle, Reverend Tui Pongi, who taught at Tupou. Since she has a talent for singing, her role was to provide special music at the conference this summer. Dressed in a traditional Tongan costume, Hautau sang in front of a large crowd and although it was one of the highlights of her trip, she felt complete just being in a room with her people. Hautau saw her role in the conference as an opportunity to influence the Tongan youth in California to take pride and understand the beauty of their culture as well. 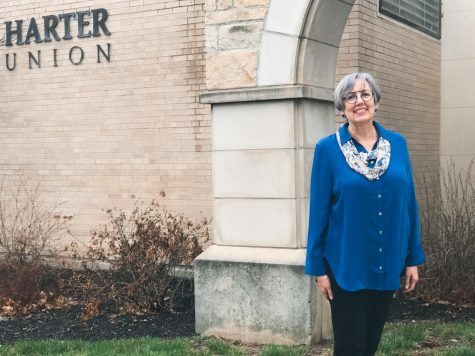 Fortunately, Hautau’s effortless characteristics such as being kind, vulnerable, genuine and loving are not the only attributes that make her fit to honor her community; they are also what draws the youth, her peers and professors to her, according to Dean of Students Cassy Bailey. Although the idea of singing at a conference in front of her community seemed intimidating, Hautau felt blessed in her decision to say yes and represent her roots.